New York City and its west coast counterpart Los Angeles might be considered the capitals of comedy, at least in the US, but there’s no denying the equal influence Chicago has had in providing a different kind of space to help shape rising comedians. From Second City to Upright Citizen’s Brigade, many an oddball idea has gotten its start in Chicago. And thank goodness. Those ideas, and the comedians behind them, refreshingly counter the sometimes big personalities and trite observations that can dominate the coast. The Midwest gave rise to greats like Richard Pryor and David Letterman. Pryor, who was born in Peoria, Illinois, didn’t miss a beat calling out where he got his start. He told a San Francisco crowd in 1966, “My home’s in Peoria. Whatever you think of when you hear the name, that’s what it’s like.” Pryor ended up mining his hometown and the many characters he came across there for comedy gold. True, most Midwest-born comedians will eventually make their way to a coast—any coast, pick one—to refine their raw edge, but it doesn’t beat the fact that they got started in America’s heartland and therefore added a different kind of element to their comedic style. Here are 12 of the best Midwestern stand-up comedians currently performing. If Minnesota-born Ryman looks a little like George McFly, Marty McFly’s father in Back to the Future, it only lends his act the tinge of nerd that helps it succeed. Between his glasses and his at-times overly excited delivery that sounds similar to a school kid eagerly telling his mom what happened to him that day, Ryman has a presence unlike most performing stand-up today. Like fellow Minnesotan comedian Louie Anderson, Ryman brings a quirk to his work that audiences respond readily to, and that, in part, could be because he was raised by a hippy mother and a religious father. He won “Best in the Midwest” at the Gilda Laugh Fest in 2015, and he was a semifinalist on Last Comic Standing in 2014 . Heck, if Roseanne Barr said she’d “never seen anything like him,” then Ryman is on the right track. One of many Chicago-born stand-ups on the list, Santino actually got his start in the entertainment industry by writing and acting on MTV’s Punk’d before going on to do a handful of other projects that eventually led him to the comedy stage. Whether Santino comes off as a comedian pursuing acting or an actor pursuing comedy, it doesn’t really matter, because he continues to exude a popular voice in stand-up comedy. He’s not afraid to mine his past, his Chicago roots and his Irish heritage to talk about all manner of things, including that time he had to go on antibiotics and learned some people only have one drink a week. Shocking. In addition to performing on Conan, Santino has appeared at Montreal’s Just for Laughs festival and SXSW. He released his debut album Say No More in 2015. Originally from Illinois, Johnagin’s material tends to focus inward on his life. Sure, that’s well-trod comedic subject matter for many a stand-up, but it’s Johnagin’s exasperated delivery and the wry way he expresses his all-too-relatable observations that lend to his specific brand of hilarity. Whether discussing his relationship with his girlfriend and the many adjustments he underwent after they moved in together, or the surprise of fatherhood and how he’s navigated that new role, Johnagin brings a refreshingly nerdy masculine perspective to topics that many male comedians might take into darker and more crass territory. Perhaps that’s why he came in 2nd on Last Comic Standing in 2010. In addition to that appearance, he’s built quite the resume between TV and festivals like Montreal’s Just for Laughs. Lately Louie Anderson has been receiving the most attention he’s gotten in years for his turn as the protagonist’s mother in FX’s dark comedy Baskets. But it’s not as though he ever went away, though. Anderson has been performing stand-up since the 1980s, but he hasn’t slowed down as he’s gotten older. One of the few comics on this list to focus the majority of his comedy on growing up in the Midwest and the type of mundane situations he experienced, Anderson offers audiences a wry perspective, one delivered with his trademark blasé tone and gravelly vocals. 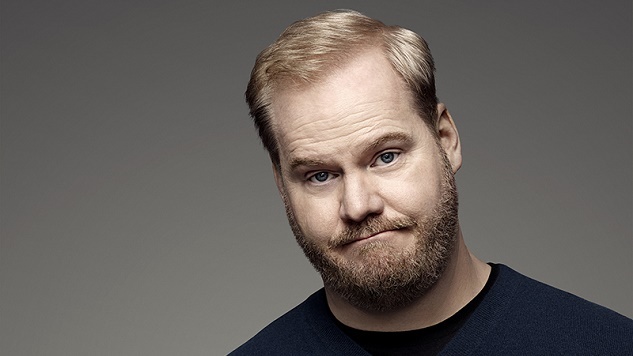 Like Gaffigan, he’s a clean-cut comedian, which led to his Emmy Award-winning animated show Life with Louie on Fox. With or without that newfound Baskets acclaim, Anderson has staying power. No wonder Comedy Central named him to its “100 Greatest Stand-Up Comedians of All Time” list. Where many a comic earns their bread and butter with shorter fare, Tom Segura, born in Ohio, isn’t afraid to develop longer premises that take listeners and audience members on a ride they won’t soon forget. His ability to stand front and center and deliver a long story that relies heavily on his keen observations and understated delivery is one of the reasons he currently has two Netflix specials: Tom Segura: Completely Normal and Tom Segura: Mostly Stories. Where most comedians insert themselves into the action, making sure they’re a key part of every story, Segura isn’t afraid to hang back and reveal how other people’s quirks are just as absurd, from his religious exercise trainer to his emasculating doctor to that one barista who doesn’t understand money. In addition to his specials, Segura also co-hosts a weekly podcast with his wife, fellow comedian Christina Pazsitzky, called Your Mom’s House. Brassy, bold, bodacious: Call Everett what you will, she’ll probably lap it up and spit it back in your face with an ever sharper rebuttal. Born in Kansas, Everett has developed quite the cult following, particularly for her cabaret performances that venture into hilariously provocative new territory. Everett started off as a singer, but quickly realized she had more to offer audiences than her voice alone. She blended her music with her comedy, developing the cabaret performances for which she’s most well known today. Appearing monthly at Joe’s Pub at The Public in NYC with her band The Tender Moments, Everett isn’t afraid to separate the wall between stage and audience, often venturing into the crowd to touch and touch and touch away. She released a CD with her band called Pound It in 2013, and regularly appears on Inside Amy Schumer both in character and as herself.